Description Kit Contents What is BS8599-1? Which Kit Do I Need? 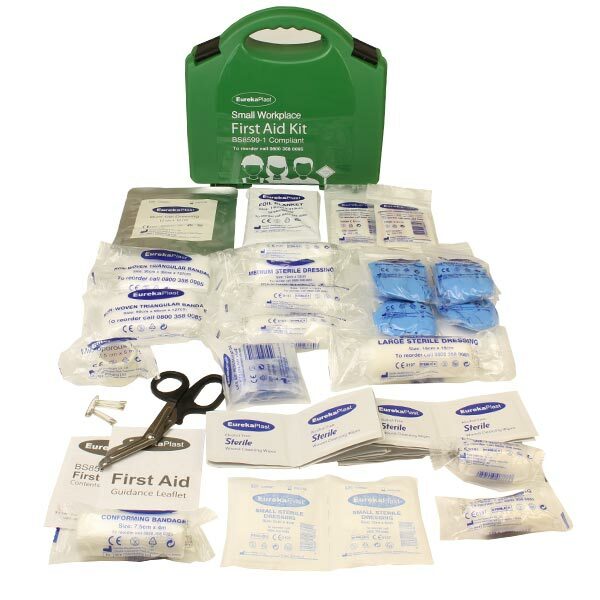 BS8599-1 is the new British Standard that specifies the contents that must be included in workplace first aid kits, and provides guidance as to the size of kit required for a given workplace environment, based on the number of employees and the level of risk present. Why Has This Been Implemented? The new list of recommended contents forms part of a modern approach to what is deemed to be a sensible range of products in the workplace of today. Factors such as new technologies in product development, different types of injury & risk, changes to training protocols as well as an increased awareness of infection control have resulted in the current kits no longer being ideal. The HSE participated in proposing BS-8599-1, and are expected to change its current Code of Practice and Guidance to nominate the BSI standard rather than list suggested first aid products. This approach will bring first aid kits in line with other safety products such as hard hats and fire extinguishers. The transitional period given for companies to update their first aid kit has ended and BS8599-1 is now in full effect. What Happens To The Old Standards? "An employer shall provide or ensure that there are provided such equipment and facilities as are adequate and appropriate in the circumstances for enabling first aid to be rendered to their employees if they are injured or become ill at work”. "The contents of first-aid containers should be examined frequently and should be restocked as soon as possible after use. Sufficient stocks should be held in a back-up stock on site." Employers are still ultimately responsible for carrying out a formal assessment of the first aid provision required in the workplace, and that suitable items are available to treat injuries that may arise from any hazards on site. Whilst it is the employers responsibility to ensure their level of First Aid provisions are adequate for their premises, they become liable when correct first aid is not available to treat an injury caused by a hazard which they should have accounted for. For example, does your workplace have a kettle? If it does, and employee scalds themselves, does your current first aid kit include a burns dressing? If it doesn’t, you could run under cold water but this is not effective at reducing scarring or the potential for infection. As an employer you are therefore responsible for any ramifications arising from injuries which could have been treated had adequate first aid provision been available. 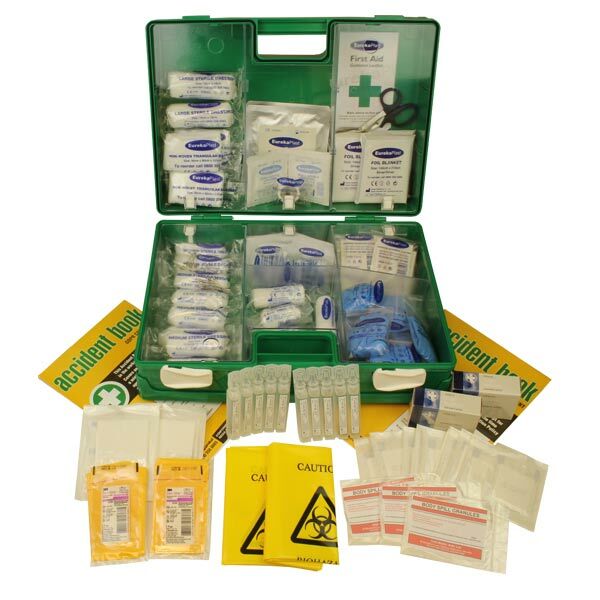 Old HSE kits were introduced in 1997 and were based on legislation from 1981 – the workplace has evolved, ensure your first aid supplies follow suit! Increased numbers of gloves, which now need to be Nitrile material. The old kits had only one pair of gloves and 29 dressings. Fewer Triangular Bandages, which are no longer used for the immobilisation of lower limb injuries. The introduction of a new smaller dressing specifically for finger injuries that are too large for first aid plasters. Previously the smallest dressing was 12cm square, making it impractical for finger injuries. The introduction of a spool of tape to secure bandages without the use of safety pins. The introduction of modern wet gel type burns dressings and a conforming bandage to secure it. The introduction of first aid shears, to cut clothing away from an injury site. The introduction of an eye wash bottle into the travel kit, recognising that running water or fixed eye wash stations are unlikely to be available to workers travelling away from the workplace. The introduction of a resuscitation device providing protection for first aiders giving mouth-to-mouth resuscitation. The addition of a foil survival blanket to provide means to keep a casualty warm, particularly in cases of clinical shock. 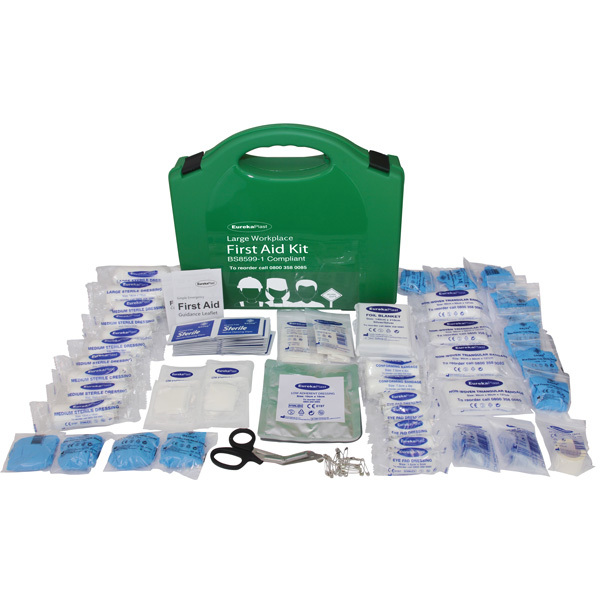 We use the product for a Seniors Group, i would recommend product to any group as a first aid. The quality looks good. 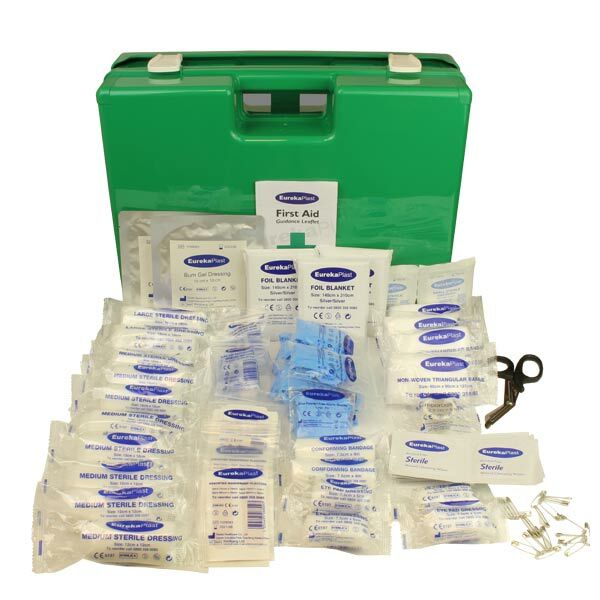 Great basic first aid kit all in one place. Saves having to look around and order individual items. 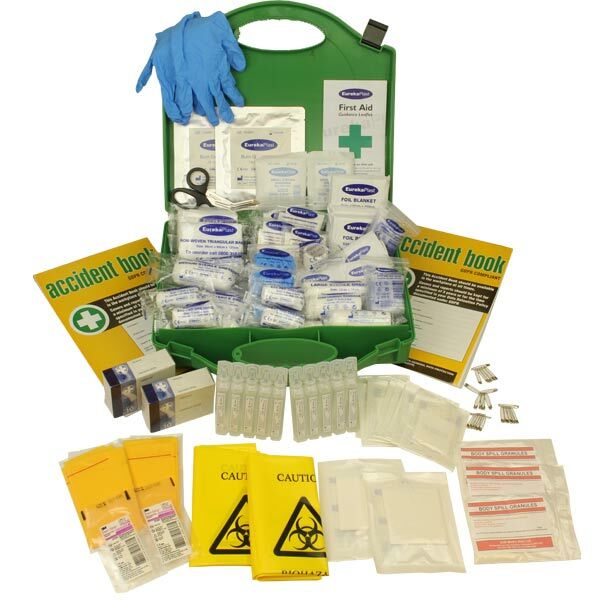 Great first aid box. Compact and contains everything needed. Just right for the staff sleep-in rooms. We needed these first aid kits in our vans. Exactly what we require for the work place. speedy delivery, exactly as described. I order the items for our various branches and the kit is well received. The contents are good quality and plentiful and a really good starting point. The box is fairly sturdy and wipe clean and I've had no complaints about it. Overall great value! Excellent for a medium sized officed. 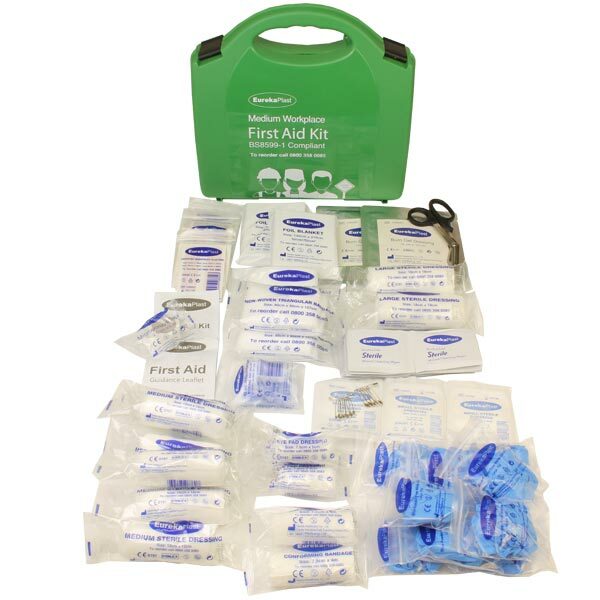 Contents are more varied than other First Aid Box suppliers I have looked at previously.